I went the library to find a picture book about Easter, when I stumbled upon a book about Passover, a Jewish spring celebration, which begins March 30 this year. As teachers we sometimes have to challenge ourselves to find books that are relevant to all the kids in our class, so I thought this would be a great one to share. 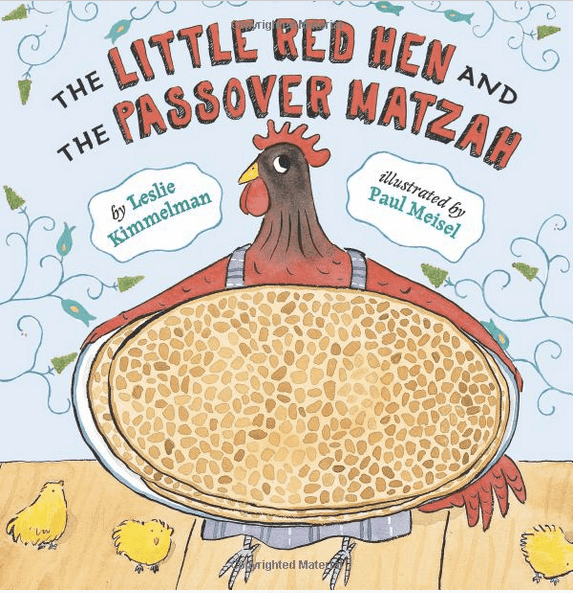 May I present, The Little Red Hen and the Passover Matzah! SYNOPSIS from the book flap: Oy gevalt! 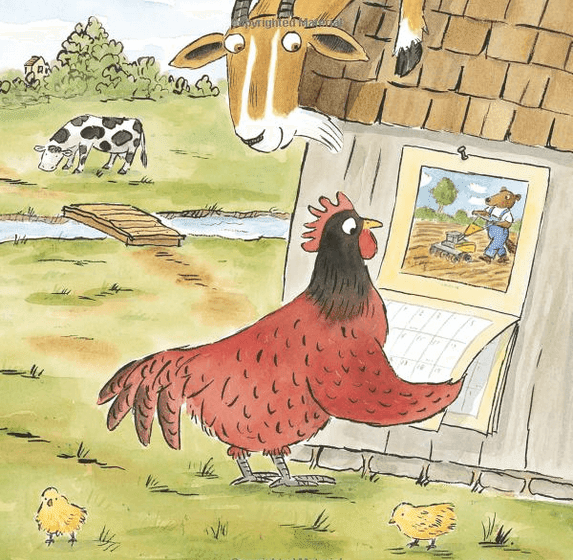 The Little Red Hen likes baking matzah, but she's not so crazy about doing everything herself. Would it be too much to ask her friends Dog, Horse, and Sheep to help plant and harvest some wheat for the delicious Passover treat? Couldn't they at least help schlep the wheat to the mill? In this rollicking version of a favorite folktale, a harried, hardworking hen finds the true meaning of Passover. WHY I LIKE THIS BOOK: I love that a Jewish celebration is presented in a well-loved folk tale. Kimmelman sprinkles some Yiddish words throughout the story which I think really adds to the authenticity. At the back of the book there's a glossary, a recipe for matzah and a simple explanation of Passover. My favourite part is the ending, when the Hen forgives her friends and invites them to celebrate the holiday ... and guess who does the dishes? Before reading the book, read the section that explains the meaning of Passover. If possible, invite a Jewish parent into the classroom to share some family traditions and to answer any questions. Bake matzah! The recipe is in the back of the book. At the beginning of the book there's a Jewish Proverb: The greatest wisdom of all is kindness. Print this on the board or chart stand and discuss what it means. Work in pairs to illustrate the meaning of the proverb. Talk about the attitudes of Dog, Horse, and Sheep. What are some words you could use to describe their behaviour throughout the story? How do they change? What words would you use to describe them now? If you're reading this story to a K or Grade 1 class, it's always great fun (and very worthwhile) to pull out the repeating parts. I've altered the words a little, but in this case it would be: "Who will help me?" the Little Red Hen asked. "No I," said Sheep. "Sorry, bub," said Horse. "Think again," said Dog, a little bit rudely. The Little Red Hen was not happy. If these words are placed in a pocket chart, the kids can practice reading them until they can do so with ease, appropriate pauses, and expression. It can be read whole class, in small groups, in pairs or individually. It's also great to mix up all the sentences then put them back in order. You can cut the sentences into words and do the same. You could have the kids print the words themselves and illustrate a small picture to go with each sentence. If you do this activity it generally requires a week of practice. My Kids' Adventures has 8 ideas for further exploring this holiday. Please visit PERFECT PICTURE BOOK FRIDAY for more great reviews! St. Patrick's Day is also coming up. Be sure to check out the review I wrote of my favourite St. Patrick's Day book EVER! 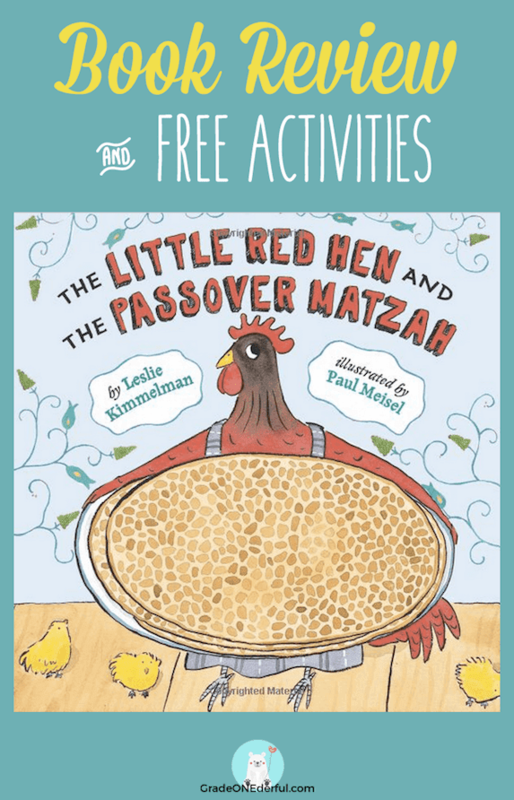 What an interesting mash-up: The Little Red Hen & Passover. Oy - I can TOTALLY hear Red Hen kvetching about the lazy friends who won't help do anything to help. Can't believe I haven't run across it yet, so thanks for sharing. You're welcome! Listening to the hen talk with all her Yiddish expressions is really fun ~ best part of the book!